We'll be pouring Reissdorf in proper Kölsch style of service with regional dishes in our Belgian Bar starting at 5 PM. Kölsch is a top-fermented, lagered beer only brewed in Köln (Cologne), Germany. 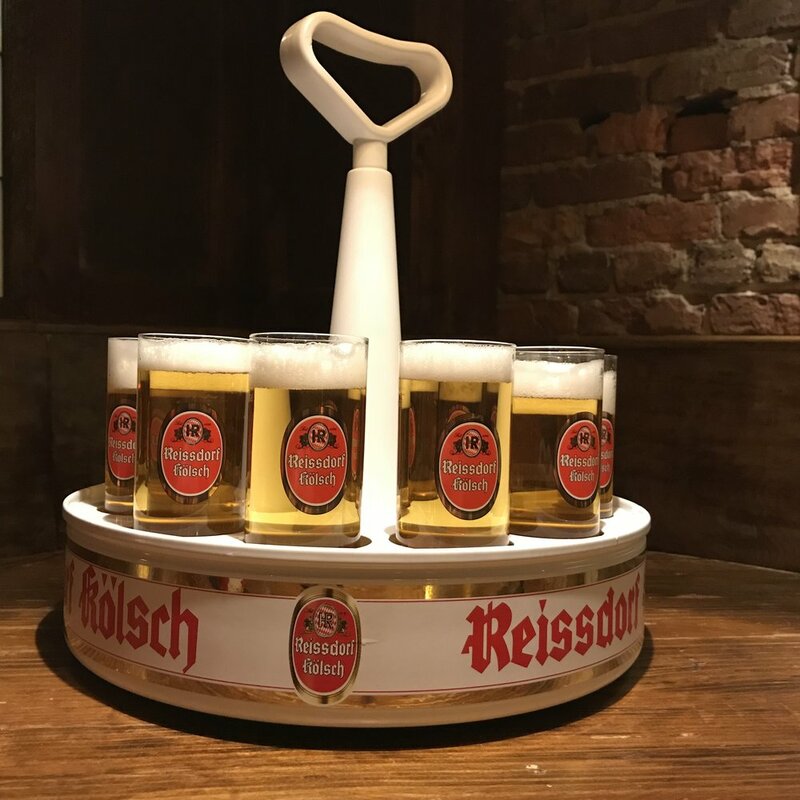 To allow a beer to carry the name "Kölsch," it must follow the rules defined by an agreement between members of the Köln Brewery Association known as the "Kölsch Konvention." They define the beer as a "light, highly attenuated, hop-accentuated, clear, top-fermenting Vollbier." This beer is typically served in a "Kranz" or wreath style tray in "Stange" glassware.